One of the potential covers until I find someone to do a good one for me. 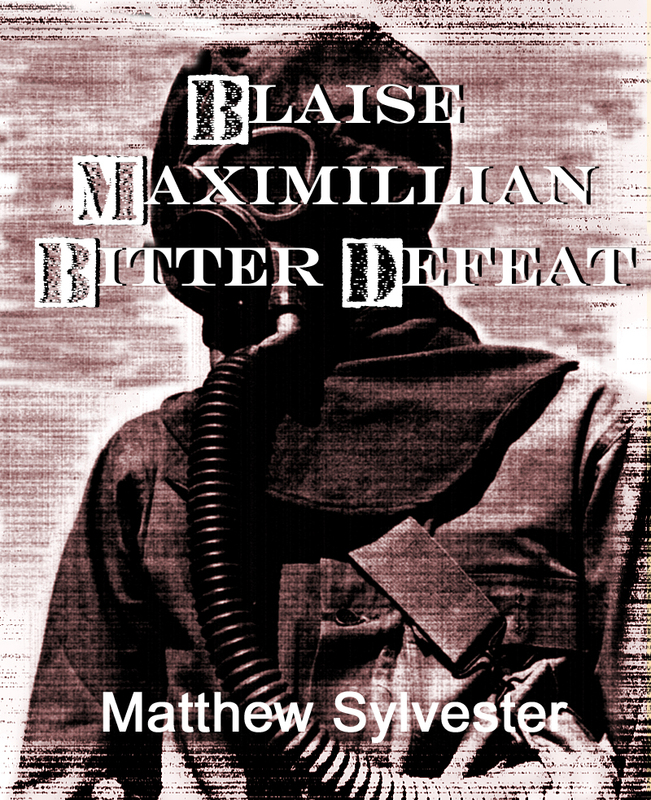 Ever since I let people know that I was going to self-publish a collection of Blaise Maximillian stories, I’ve been spending many nights staying up far too long writing. And I’m bloody loving it. Blaise is my kind of anti-hero, which is one reason why I’m enjoying it, but also because I’m able to do some more world building, to show just how different the Britain of the Bitter Defeat universe is from ours. You may or may not remember that I said I was going to publish a collection a couple of years ago. In it I said that I was hoping I could get 35,000 words from existing stories, and new stories that I had written especially for the anthology. Well, good news dear reader, the book is currently standing at 48,000. This equates to a 129 page paperback (I will be looking in to see how to get this onto CreateSpace as well), and I’m hoping that I can a few more pages added to it by the end of the editing phase. Funnily, that’s where I differ from a lot of authors. There’s a saying about editing which is basically, ‘cut as many words as you can’. However, my initial stories are nearly always bare bones. When I edit, I start to sculpt the story around those bones, with the result that I normally add many more words. The fact that this collection is currently around 48,000 words is proof of that, as a number of the stories were written as flash fiction on my iPod as I walked to and from work. Baptism of Fire – Written for this book. Getting Stuck In – Written for this book. Gas! Gas! Gas! – Written for this book. Angriffsoldaten – Written for this book. Barrelling Along – Written for this book. Knights of New – Written for this book. No More Running – Written for this book. Jam Roly Poly and Lead. Spiffing. No Good Story Stars with a Salad – Written for this book. A Fine Cut of Cloth – Written for this book. Totally get what you mean about editing. My second novel grew by 25% from 80k to nearly 100k during the first read/edit – the largest increase by far of all my writing. I noticed that there were weaknesses needing reinforcement, sections where the images in my head hadn’t translated completely into text and lots of little tweaks that just added up. At one point I ended up adding almost 5k to just one short section – that’s two whole chapters! From then on I’ve consistently aimed the first draft word-count at 75-85% of the target total with the absolute knowledge that the second-draft/first-edit stage will buff it up like Arnie. And yes, my first novel became painfully bloated in the process. 140k by the time it was done. Ouch! Never heard that from a man before, lol. But seriously, by the time I reached140k there was a part of me saying “Screw it – hit the 150!” To be honest the length almost guarantees it’ll never see normal publication (certainly not as a first novel) but if/when I do put it out there at least my readers will get value for money, even if just on word count alone. Nice one! Although I would recommend Lulu.com rather than createspace, as it can take eight to ten weeks for delivery of just the first proofs, whereas Lulu tend to be quicker and with far more options format and cover wise.